My first steps in the fashion world. Myriam Volterra, founder and CEO of Myriam Volterra Group, is an Italian entrepreneur. Since she was a child, Myriam showed a great passion for fashion, harmony, elegance, and beauty. Raised in a polished environment, multilingual, and rich of stimuli, she studied in Italy and abroad, by the age of five she was already able to speak five languages. Myriam Volterra describes her first working experience smiling: “I went to a manager of my father’s textile factory and I bought some scarves for 10 Lire each. Later, I resold them to my school peers for 100 Lire. My parents scolded me, but I thought that they were deeply proud of me. I was not even six years old!”..
English tutoring, and translating. When I was 17, I worked as an interpreter for the Milano Trade Fair. It was the starting point for my career in the business world”. After her first job in an engineering company, Volterra went to work for Annalisa Ferro, a brand of ladies clothing. In a short time, she took the foreign sales from 5% to 53%. 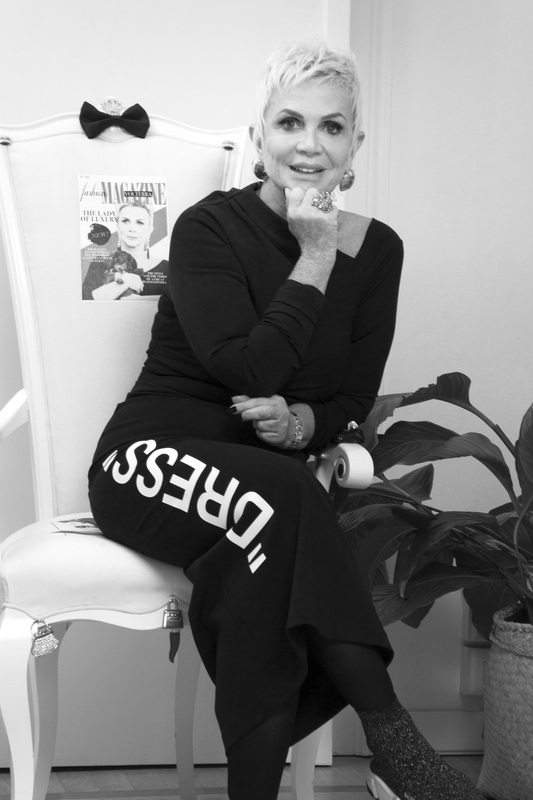 In 1978 she worked for Ferrante Tositti Monti, one of the first showrooms in Milan in the golden age of Italian fashion. opportunity to demonstrate what I could do. I finished an order exceeding all expectations and became famous in the sales sector. It was then that Gianfranco Ferré summoned me to offer me the position of sales manager. It was an exhilarating experience; I conquered the second most important position of the company, a launching pad for my subsequent activities. As a prestigious collaboration from Les Copains, where I launched the Ursula line”. is impossible, I have simply grasped the opportunities presented to me from time to time. It's a matter of timing, good humor and energy". Knowing how to communicate is essential. «Communication is based on physical and virtual visibility. We need to attract attention, especially in a competitive market like the one in which I operate. Nothing should be left to chance. Participating in events, meeting people, always being online are the first rules. Traveling is also very useful for keeping up with changes in the world. Being aware of the reality of the world in which we live is fundamental». Worldwide Office. «More than an Italian citizen, I feel like a citizen of the world. The international term is the key, the basis on which my work and the structure of my office are based. It's a term that belongs to me, it's part of me and that's how I like it. My office is staffed by employees from all over the world and my work is based on interaction with foreign clients. This nourishes and stimulates me personally and my professionalism every day. Having worked in ever-changing and international environments has shaped my way of perceiving and evaluating things. Foreigners like to visit my office in a comfortable, hospitable environment, rich in different cultures. I think it's for this reason that people consider me a successful woman. Thirty years ago, the inventor of Weight Watchers told me something that I have never forgotten; "I am sure that if you insert an element of internationality between your goals, you will become a successful person". And, so I was!».